Revival Trailers have now expanded into their larger neighbouring premises to accommodate the increase in demand and success for their stunning range of hand built retro American style catering trailers. Having now doubled the workspace by acquiring their neighbouring unit, Revival are extremely well positioned for 2015 and have already now started selling their beautiful trailers throughout Europe, as well as introducing a new smaller model (Under 750kg) to their stunning range. Revival also has plans for a brand new dealership to be set up in 2015 (Watch this space). Importing and restoring vintage aluminium trailers from the United States, to use as catering units and many other business applications is becoming more and more popular. Little wonder, considering their eye catching looks and iconic styling. A well presented example will certainly get you noticed and remembered. The problem is, the supply of usable examples is finite, and rapidly diminishing, meaning the standard of trailer landing in the UK is getting lower and lower, they are costing more and more to restore, suffering from corroded chassis, rotting floors and bodywork which is literally coming apart at the seams. Some of them are of course over 60 years old. Revival Trailers recapture all the classic styling and presence of the originals, but in a completely new hand built trailer, which takes all the desirable aspects of the original, and blends it with the benefits of the most modern materials and engineering methods. The cost of a new Revival Trailer will often work out to be less than buying, importing and restoring a vintage example, will be just as stylish and be a brand new and guaranteed product, designed to work hard for your business, not just for two weeks holiday a year! 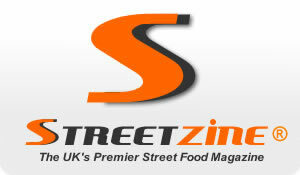 Savvy street food traders know that image and functionality is key to growing success in this industry. It seems that the only limitation to designing a street food stall, vehicle or conversion of any kind is simply your own imagination. Just about anything is possible and can be realised for a fairly small investment. Revival Trailers really stand out in this category, their stunning designs capture everybody’s attention wherever they go and never fail to bring intrigue and smiles and of course, crowds! TOTAL ALUMINIUM PROTECTION WITH OUR NEW CLEARCOAT. Revival Trailers now offer a protective coating over the entire outer body shell of their trailers. This is a high technology product which chemically bonds to the metal surface and is used in the aerospace industry, for example on wing edges and engines of passenger jets, so it is no gimmick, and is not to be confused with normal clear laquers which will peel from polished metal surfaces. This will eliminate the need to polish your trailer for many years to come and offer full corrosion protection. It is also graffiti proof! It has been subjected to a 3000hour salt spray test, (the equivalent to 3 years outdoors in a tropical climate) with astonishing results. Revival trailers can be supplied as a lined shell, including insulation, interior cladding and lighting, or with a choice of catering fit outs, and are available in five sizes, 15, 17, 19, 21, and 24ft. The 15, 17 and 19ft models are single axle, while the 21 and 24ft are double axle. Revival trailers are all hand built to order, by a small team of craftsmen who you can rely on to provide you with a unique and high quality product.